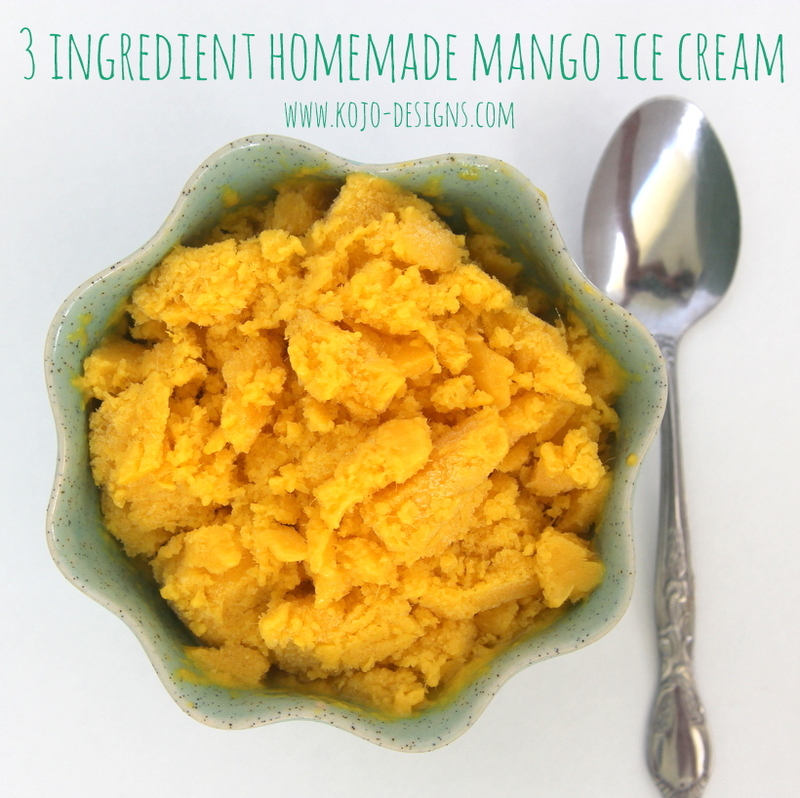 Ok, so I have to admit that I probably wouldn’t have made this three-ingredient mango ice cream minus the glaring lack of affordable ice cream options on the island of Saipan. Well, and also the fact that Adam’s sweet assistants keep bringing us bags (and bags!) of mangoes. But now that we’ve tried it (it’s so easy! And the taste is perfection! ), we just keep making this stuff. It is so. very. delicious. 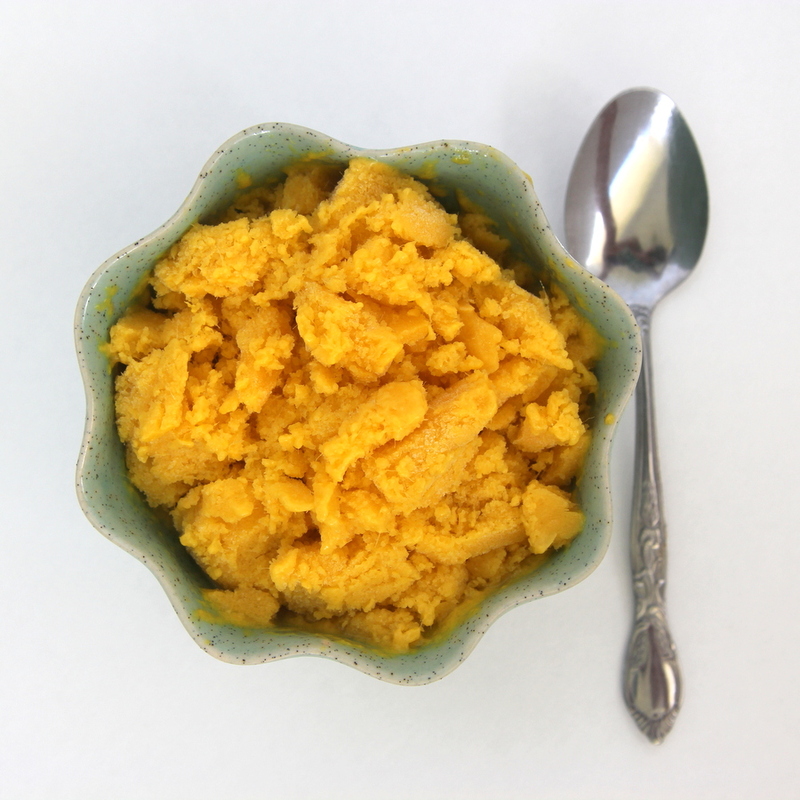 You wouldn’t think that the humble combination of mangoes, coconut milk and vanilla would be this delectable. But it is! And did I mention that there are just three ingredients? And that this yummy concoction is gluten free? 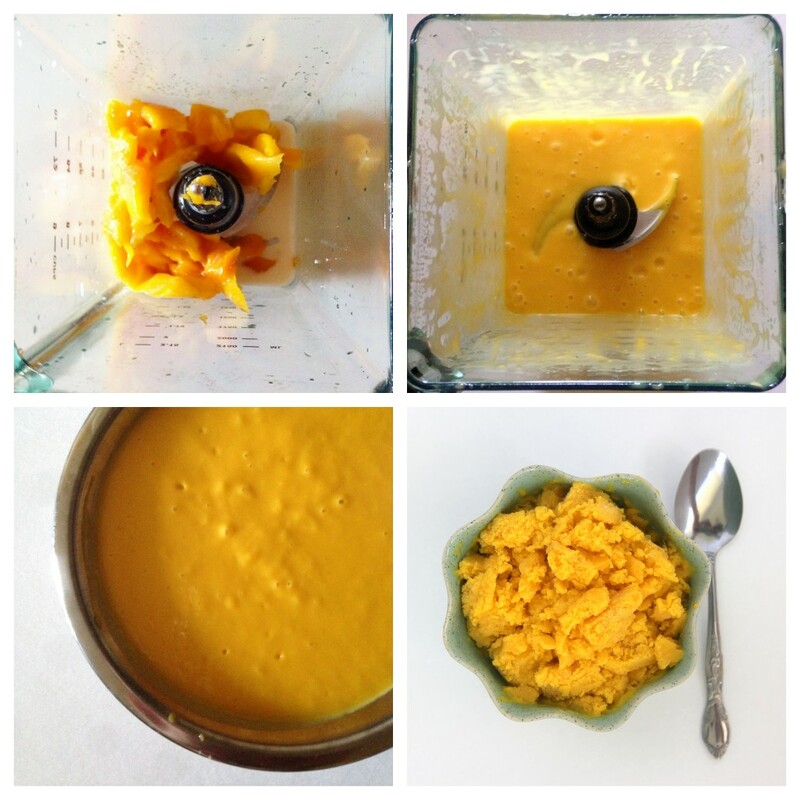 Directions- Blend the mangoes and coconut milk together for a couple of minutes in a blender or food processor. Add in the vanilla and blend for another minute. Taste and add honey if you want. 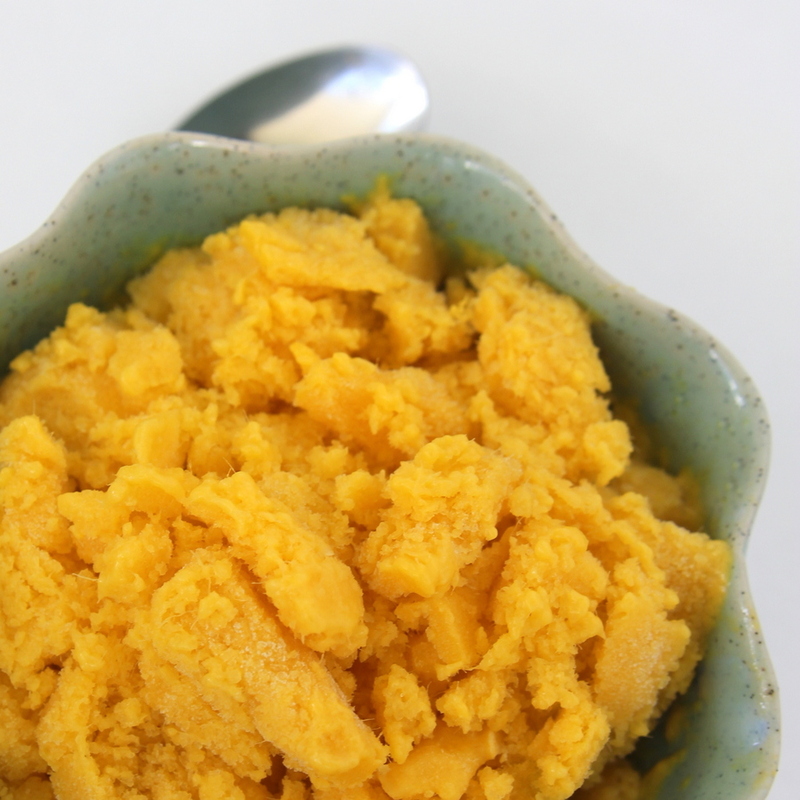 Pour the mixture into a metal bowl and put in the freezer. Stir every hour or so until it is frozen. That’s a great idea Peggy- I would half the recipes and make them in a small crockpot. You’ll have enough for dinner and a lunch later that week I bet. Bags and bags of mangos? Oh my! The last time I had tree ripened mangos was before you were born. 😉 LOL Loved them then as much as I do now!!! Do you have ready access to ice? What type of blender do you have? If it is super heavy duty you can make soft serve ice cream. In fact I accidentally did it with the mango smoothie I was making the other day. It was simply divine! If you need any recipes for the mangos give me a holler. I have made mango jam, mango chutney, and a couple of other things when I had a glut a few years ago. It was great as it provided a way to preserve them in another form which we were able to use months later. I hope you had a wonderful 4th of July!! Peggy- umm, YES, send all mango recipes my way. 🙂 And YES, we have ice- soft serve ice cream sounds great. I hope you had a great 4th of July too!!! How is the summer going?? ?